During the war, after losing his family to Hitler’s ”final solution,” young David leads a courageous group of Jewish resistance fighters against the Nazis. When Germany is defeated, he journeys to Jerusalem, to find a new battle brewing. British occupation forces are entrenched in Israel, blocking Holocaust survivors from immigrating to their Jewish homeland. Determined to help his people find freedom, David uses his guerilla skills to single-handedly wreak havoc on the British. As he begins his dangerous quest, David meets and falls in love with the beautiful Shoshana, a young Holocaust survivor whose spirit may have gotten damaged beyond repair. 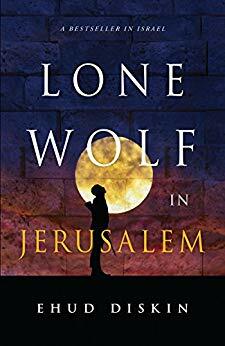 Recounting the tragic losses and heroic triumphs of the Jewish people during this critical stage in their history, Lone Wolf in Jerusalem brings these events to life in a new and inspirational way, making them accessible to a new generation. Originally written in Hebrew, this book quickly became a best seller in Israel. Ehud Diskin was born in Jerusalem. He served as an officer in combat roles during Israel’s wars, as detailed in his memoir, YES, IT’S POSSIBLE, and ended his military career with the rank of colonel. After attending the Hebrew University of Jerusalem, he earned a PhD in business management and became the director of the LIBI fund, collecting contributions from all over the world to provide support for the education of soldiers. Later, he left the public sector and became a businessman, establishing several successful enterprises in the United States. Find out more and read reviews of the original edition at lonewolfinjerusalem.com. Sergeant John Perry wrapped Sarah tightly in his arms once more, pressing his body to hers. The last thing he wanted this early in the morning was to relinquish the warmth of her embrace and step into the wintry darkness of Jerusalem. Had he known someone was lurking downstairs, waiting anxiously to snuff out his life, he surely would have stayed in bed. He reluctantly shrugged off the blanket and fumbled through the dark room for his clothes. After dressing, he put on his coat and then paused to touch the cold Webley .38 revolver heavy in his pocket, loaded and ready. “John? You’re leaving already?” Sarah whispered in a voice hoarse with sleep. It was February 1946 in the Land of Israel, or Mandatory Palestine as it was called at the time. The League of Nations 2 had granted Britain control over the historic Jewish homeland in the wake of the First World War. But Jerusalem was hardly a safe place for the British soldiers and police stationed in the ancient city, as their regime was frequently attacked by Jewish underground organizations. The darkness of night brought even more danger, especially in the quiet corners of the city. I waited downstairs in the exposed stairwell, wincing from the sting of the icy wind blowing in from the street, reminding myself that life isn’t always fair. While Perry was feeling the soft curves of a woman against his body in the apartment above, I stood shivering and alone. But soon he would lie eternally cold, I thought, taking grim comfort in the fact. My plan to send Perry to the gates of Hell did nothing to warm my own body, but it did warm my soul. I planned to strangle him. I’d have preferred to use a gun, as I often had against the German soldiers I once fought as a partisan. But shooting him would wake the neighbors, not to mention leave unmistakable evidence that he’d been assassinated. By strangling him, there would be an outside chance that a British investigator would rule his death a robbery gone wrong. I heard Perry shut the door on the floor above and then his heavy footfalls on the stairs. I hid in the dark alcove at the entrance to the stairwell, having already knocked out the overhead light to conceal myself. When Perry passed me, I leaped at him from behind, gripping his neck between my two forearms and pulling him back at the same time. He resisted, kicking his legs wildly as he tried to keep his feet on the ground. I tightened my grip on his neck, using all my strength to drag him backward. Finally, the gasping stopped, and his body fell limp. I let go, and Perry slumped to the floor. Kneeling beside him, I checked his pulse—he was gone. I quickly rifled through his pockets and was pleased to find his Webley, which I would add to my growing collection of weapons that I accumulated in the last five months, since I came to the Land of Israel. To create the illusion of a botched robbery, I slipped the money from his wallet into my pocket. I didn’t want to leave any traces around the building, so after checking to make sure the coast was clear, I hoisted Perry’s body onto my shoulders and carried him to a nearby street, where I dumped him in one of the courtyards. With dawn about to break, I hurried back to my place on Zephaniah Street, not far away. My apartment was a single room at the back of a one-story building. I silently opened the gate to the yard and followed the path to my private entrance in the rear. Before heading inside, I stopped in the backyard, which was enclosed by a fence of large stones. This part of the yard was visible only from my room. Crouching behind an apricot tree, I removed a large, loose stone from the fence to retrieve the locked metal box I kept in the hollow behind it. I placed the Webley inside. My arsenal of weapons and ammunition had become quite impressive. Back in my apartment, I undressed and headed straight for the bathroom. A hot shower would have been welcome, but that required lighting a fire under the boiler and waiting for the water to heat. Instead, I stepped straight under the flow from the showerhead. It was a true Jerusalem winter, and the water was ice cold, but I had grown used to bathing outdoors in the Belarusian winters as a partisan and wasn’t going to let a little icy water trouble me. All I wanted was to wash away the last traces of that lowlife Brit as quickly as possible. Afterward, I lay in bed but couldn’t fall asleep. My mind wandered back across the past five years, since the Nazis had invaded my home in Belarus in Eastern Europe. I tried to recall the faces of my mother, my father, my older brother and sister, all dead and gone, like most of the hundred thousand Jews who had lived in our now-destroyed community in Minsk. As I stared at the ceiling, I tried to remember how I’d been back then—a sentimental seventeen-year-old boy who couldn’t bear the sight of a chicken being slaughtered. How could acts of war come so easily to me now? 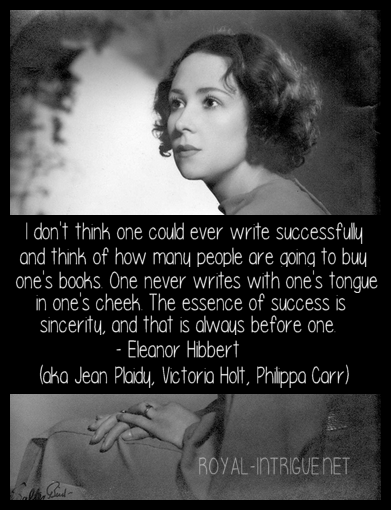 But necessity can drive men to do unfathomable things. As I witnessed the unspeakable evils the Nazis had unleashed on my people, on my family, it had hardened my spirit. In the face of such devastation against the entire Jewish race, how could I not commit myself to doing everything in my power to create a safe and secure home for the Jewish people and for myself? Of course, the British were not the Nazis, but they had taken control of our ancestral homeland and enacted policies to explicitly limit Jewish immigration. Their navy was blocking Israeli shores, stopping boats full of Jewish immigrants, most of whom were concentration camp survivors; then they were sending those survivors right back to camps in Cyprus or, even worse, in Germany. We had no choice but to fight the British for a homeland where we could live free, and I knew I must use the skills I acquired fighting the Nazis in the forests of Belarus to accomplish that. I wouldn’t stop until an independent state for the Jewish people in our ancient homeland became ours again. Copyright © 2018 Ehud Diskin. All Rights Reserved. Reprinted with permission.